Win your place at the table. Thank you for your interest in our competition to win the chance to join us at our inaugural Alumni Awards Gala Dinner. The competition is now closed and we’re busy judging the fantastic entries. For the first year ever, the University of Bristol is hosting an Alumni Awards Gala Dinner. This prestigious event will take place at the Mansion House in London on Tuesday 12 March. Three lucky winners will have the chance to attend the event and bring along a fellow University of Bristol student to share the fun. The prize includes a champagne reception followed by a three-course dinner alongside many high-profile alumni. Sir David Attenborough will receive the Alumni Award for Lifetime Achievement Award on the night. There will also be a performance by the University of Bristol Gospel Choir to enjoy and coach travel to and from Bristol will be arranged for you. Which three words sum up what it means to you to be a Bristol student? Explain your choice of words in 50 words or less. The closing date for the competition is Friday 15 February at 5 pm and winners will be notified by the end of February. We look forward to reading your entries. 1. This competition is run by the University of Bristol and open to all students aged 18 or over and registered at the University of Bristol until 31 March 2019. 2. The competition is free to enter, and no purchase is necessary. 3. Winners must be available to travel to London for the Alumni Awards Gala Dinner on 12 March 2019. 4. Employees, their close relatives and anyone otherwise connected with the The University of Bristol or judging the competition will be exempt from entering the competition. 5. The prize is three pairs of tickets so six students in total may attend the event as a result of this competition. The three winners can choose one fellow University of Bristol student as their guest. All attendees must be aged 18 or over and registered at the University of Bristol until 31 March 2019. 6. Each ticket winner will receive an invitation to attend the Alumni Awards Gala Dinner on Tuesday 12 March 2019 at the Mansion House in London. The Alumni Awards Gala Dinner will include a champagne reception followed by a three-course dinner and a performance by the University of Bristol Gospel Choir to accompany the Award presentations. Students will be seated with their guest and travel arrangements will be made so they travel together to and from the event on Tuesday 12 March 2019. 7. The opening date for entries to the competition is 10 am on 6 February. The closing date for entries to the competition is 5 pm on 15 February 2019. Any entries received after this time will not be accepted or considered. 8. To enter the competition, use the form above and submit three words that sum up what it means to you to be a Bristol Student. You are welcome but not obliged to support your submission with 50 words or less explaining your choice of words. If you have any questions regarding your submission, please email student-comms@bristol.ac.uk. 9. Only one entry will be accepted per person. Multiple entries from the same person will be disqualified. 10. The University of Bristol accepts no responsibility for entries not successfully completed due to technical fault or any kind including but not limited to technical malfunction, computer hardware or software failure, network or sever failure. 11. All entries received and verified by the University of Bristol will be judged by representatives from the Bristol Students’ Union and three winners will be selected. An independent adjudicator will be appointed by the University of Bristol to also judge the competition. 12. The three winners will be notified by email (using the e-mail address provided at entry) by the end of February 2019. We are not able to make contact with the unsuccessful entries on this occasion. 13. If a winner or winners cannot be contacted or do not claim the prize within 48 hours of notification, the winner’s prize will be forfeited, and The University of Bristol will be entitled to select another winner/s in accordance with the process described above. 14. Winners must attend a briefing prior to the Alumni Awards Gala Dinner when full travel arrangements will be advised. The University of Bristol will notify the winners when the briefing will take place. Attending the briefing is a mandatory requirement in order to attend the Alumni Awards Gala Dinner. 15. The University of Bristol’s decision in respect of all matters to do with the competition will be final and binding and no correspondence will be entered into. 16. By entering this competition, participants are deemed to have accepted and agreed to be bound by these terms and conditions upon entry. The University of Bristol reserves the right to refuse entry or refuse to award the prize to anyone in breach of these terms and conditions. 17. All Competition entries and any accompanying material submitted to the University of Bristol will become the property of the University of Bristol on receipt and will not be returned. By submitting your competition entry and any accompanying material, you agree to: (a) assign to the University of Bristol all your intellectual property rights with full title guarantee; and (b) waive all moral rights. 18. By submitting your entry, you acknowledge that the University of Bristol may use your comments and quotes for marketing and editorial purposes of the University worldwide, without restriction and in any format. The purpose of such materials is to include, without limitation, undergraduate and postgraduate prospectuses, the international guide, the University website, University social media accounts and University publications including matters relating to the University’s marketing and editorial functions. We reserve the right to make minor editorial or grammatical changes to your submission, but we will not materially alter the substance of your submission. 19. Winners will be interviewed and filmed at the Alumni Awards Gala Dinner and any video footage will remain the property of the University of Bristol who may use any film content for marketing and editorial purposes of the University worldwide, without restriction and in any format. The purpose of such materials is to include, without limitation, undergraduate and postgraduate prospectuses, the international guide, the University website, and University publications including matters relating to the University’s marketing and editorial functions. We reserve the right to make minor editorial changes to your submission, but we will not materially alter the substance of your interview. 20. Any abusive or vulgar language will be disqualified and reported to the University of Bristol Secretaries Office. 21. The University of Bristol reserve the right to cancel or amend the competition and these terms and conditions without notice. Any changes will be effective immediately and the competition participants will be notified as soon as possible. 22. The University of Bristol is not responsible for changes to the event including changes to guest list or entertainment. 23. The prize is as stated, and no cash or other alternatives will be offered. The prizes are not transferable. Prizes are subject to availability and we reserve the right to substitute any prize with another of equivalent value without giving notice. 24. The winners agree to the use of their/his/her name and image in any publicity material, as well as their entry. Any personal data relating to the winner or any other participants to the competition will be used solely in accordance the University’s Data Protection Policy. 25. The University of Bristol reserves the right to cancel the competition if circumstances arise outside of its control. 26. This competition will be governed by English law and participants to the competition submit to the jurisdiction of the English courts. Connected: through cohort, tutors but mostly the shared energy of possibility among all students. Study spaces and socials host that precious connectivity. Growing: I’ve gathered insight, grown in self-esteem, awareness, mastering effectiveness in living a life I love. Personal: Whilst challenging, the journey is enriching, fulfilling. I feel proud achievement. Would be honoured to attend! 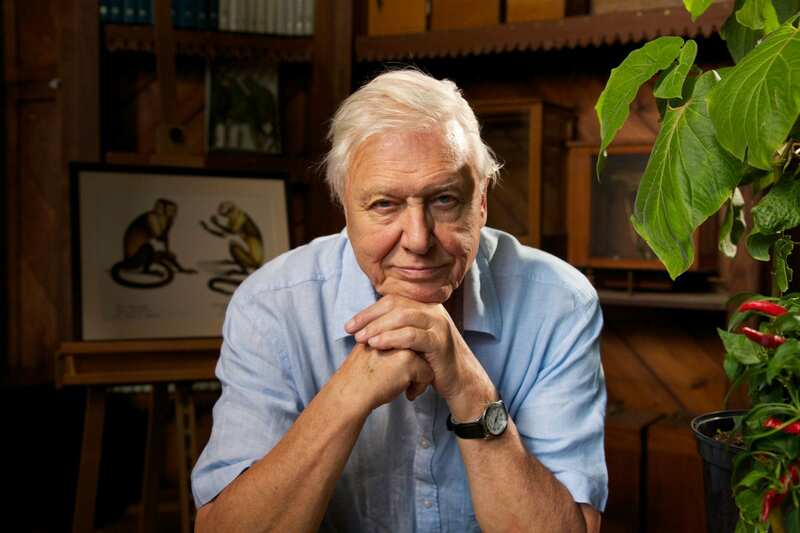 Sir David Attenborough has been a representative voice for the African people and the continent at large by highlighting the effect of climate change, its effect and impact on he poorest nations. Through his African wildlife programs he contributed positively by boosting tourism to countries like Namibia where I come from. What an icon, what a human being and I already regret the day he no longer will be with us!